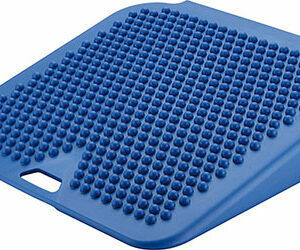 You are probably wondering what the craze is all about regarding this great exercise? Well, in this post, I am going to outline all the benefits the exercise provides breaking this down by major muscle groups to show you just how powerful one exercise can provide you with multiple gains which no other exercise can do, without using some type of equipment. It is a strength training exercise so one of the key benefits is obviously to improve your strength in various areas. Lets take a closer look at the actual exercise. If you look closely at the front plank, you will notice the muscle groups being challenged. If we start at the front, the first muscle being worked is your neck. In order to hold this plank position correctly you must keep your neck straight and not bending down. By keeping it straight you are working major muscle groups in your neck called the traps, this helps your posture especially if you spend a lot of time sitting at your desk as it helps support your neck. Moving along the neck, the next muscle group you will notice being used are your shoulders. 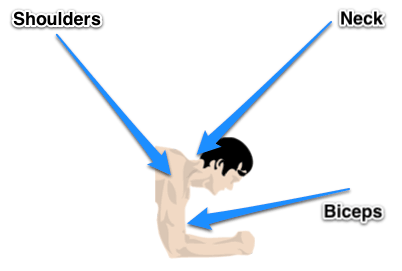 Unless you go to the gym, shoulder muscles are generally not directly trained unless you do press ups for example. But who wants to do boring last century press ups? 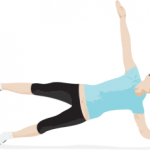 However, If you are a fan of press ups, which many are, performing the plank will also strengthen your shoulder muscles over time and thus improving the performance of your press ups as it uses similar muscle groups. Holding the shoulders up are the biceps. If you are not into body building and building your biceps, merely performing the plank will help build and tonne your biceps as you are using your biceps to keep your upper body weight off the ground. 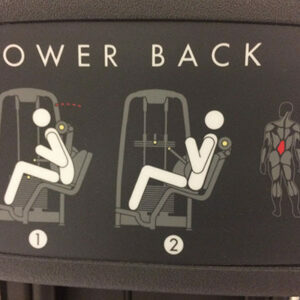 Right so that covers your upper body workout. Now if we travel along under the body, the next muscle group we hit is your chest, although I would say this is a secondary muscle group that is worked. If we continue along we then come to the major muscle group being worked, the abs. Strong abs are vital not only for sport but also for good posture. This exercise will also strengthen your abs and as a result tonne them giving them a much more streamline look. 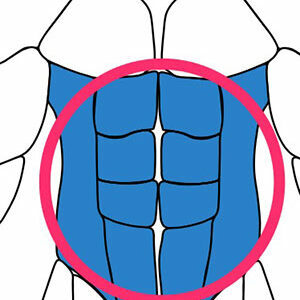 The muscle groups to the opposite side of the abs are your lower back muscles. These too play a vital role in keeping you in the plank position but also provide other key health benefits which i describe further down. Moving along, the next muscle group we come to are the ones located in your bottom, yes these too are strengthen! From there you have the thighs and finally the calf muscles. We got there in the end! So as you can see, the plank provides strength benefits to many muscle groups all at the same time. Tell me, which other exercise provides this many strength benefits without the use of gym equipment? Leave a comment below if you know of any others, it would be interesting to know. It could make you go mental! Na, only kidding, however, what I mean is that the exercise is also quite addictive so on the plus side it will help you wanting to try and improve on your previous performance. Theres never any harm in a little competition in yourself for the greater good. However, as it requires focus in order to keep holding the plank for as long as possible, I’ve found it mentally builds on my concentration skills while trying to achieve a goal. As you are probably aware by now, holding the plank position stretches many muscle groups all at the same time. These muscle groups can get stressed during the day when sitting at your desk, however to release the tension from them, holding a plank position can be the ideal solution to help relieve these tense muscles. Another great thing this exercise provides is good habit and training for your abs. This will help you daily if you are doing any physical activities or sports as you will automatically initially start tensing your abs before carrying out your activity. This is a great habit to develop as your tense abs provide additional strength and balance in your activity, not only that but also greatly protects you from injury, especially injury to your lower back. 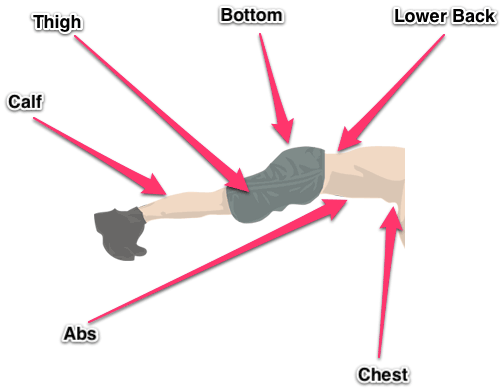 Ok, so now we come to the real reason of why you want to learn about the plank position! Yes you want to streamline that waistline and tonne that belly so it looks like you have a six pack. I can see straight through you! Yes, performing the plank certainly helps in streamlining your waist line, however that doesn’t mean its all you have to do to see results. Like with any form of exercise, you will still need to have consistency, a balanced diet and carryout other forms of cardio vascular exercise to complement your plank exercise for the best results. So there you have it. One simple exercise with multiple benefits. Step By Step Strengthening Exercises That Are Guaranteed To Strengthen Your Weak Lower Back. Learn from someone who currently uses his own system to remain strong, lean and pain free. Free PDF - Includes TOC and Part 1. Looking For More Strengthening Exercises? Learn about the strengthening exercises you can perform to keep your core muscles and lower back in good shape from daily sitting & commuting. Learn more about the strengthening exercises you can perform to keep your core muscles and lower back in good shape from daily sitting & commuting. 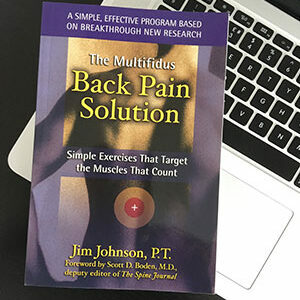 The information in Weakbackbuilder.com is not intended as a substitute for professional medical help or advice but is to be used only as an aid in understanding spinal problems & core strengthening. A physician should always be consulted for any health problem. 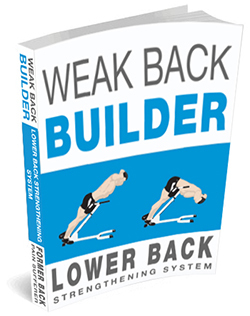 Weakbackbuilder.com may provide links to other organizations as a service to the readers and is not responsible for the information, services, or products provided by these web sites, health professionals, or companies. I respect your privacy. I hate spam too!